Call it a blacklist, Nixonian or simply an execution of presidential power, either way it is newsy and serious that the president decided to revoke the security clearance of former CIA Chief John Brennan, who has been a major critic of Trump's since leaving public service, and threatened to do the same with others who have criticized him too. As this is happening in Washington, around the country dozens of veterans and former intelligence officers have been running for office and winning Democratic congressional primaries. From North Carolina to Kentucky, New Jersey and Virginia, we have talked to several Democratic candidates with military and intelligence backgrounds, who have told us they felt compelled to run, because of the president, his attacks on their agencies and their effect on the nation. Should most of them win in November, as many of them may, not only will the Democratic caucus contain in its ranks significantly more national security expertise, but the entire House makeup could look and feel really different in this regard. What's more, should the House flip to Democratic control, some of these former spies, former intelligence officers and former fighter pilots could be in place to be a serious check on the White House. At least that's what they are hoping. President Trump exacting political revenge on a former top intelligence official by revoking his security clearance sent a familiar series of gasps through Washington on Wednesday, but it also serves as another reminder of the frequency with which the president uses the power of his office to distract and obfuscate. The trial of Trump's former campaign manager Paul Manafort continues to drag on, a fact he undoubtedly wants the public to forget. Fallout from former top White House aide Omarosa Manigault Newman's new tell-all book continues, but much of Wednesday's press briefing was spent scrambling for answers over the breaking news. 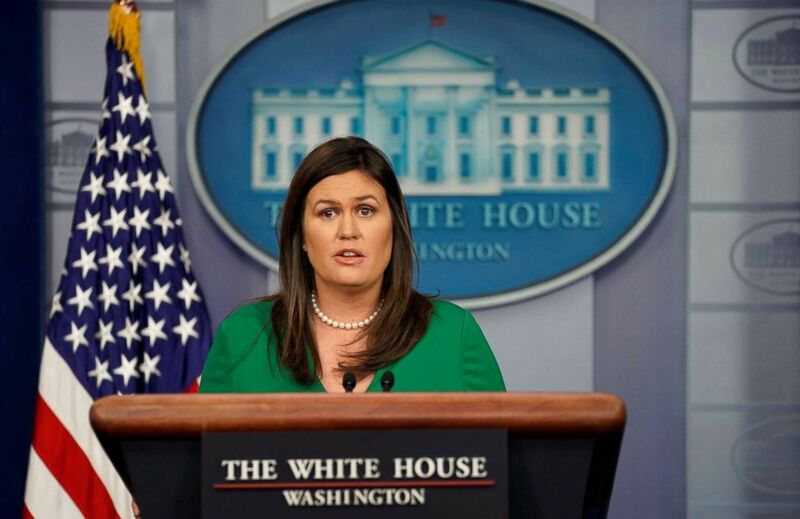 White House Press Secretary Sarah Huckabee Sanders holds the daily briefing at the White House in Washington, on Aug. 15, 2018. The president relishes the constant game of cat and mouse between his administration and the news media, a game that he consistently manipulates and encourages with his taunts of "fake news" and his labeling the press the "enemy of the American people." The administration is no doubt keenly aware of the consequential midterm election that is now less than three months away and now, more than ever, will be seeking constant control over a hectic and unpredictable news cycle. The House Judiciary and Oversight Committees are expected to question senior DOJ official George Toscas Thursday morning on Capitol Hill behind closed doors, according to three congressional aides. Toscas is the latest interview in the GOP majorities' investigations into allegations of political bias at the Justice Department and review of the handling of the Hillary Clinton email investigation. Toscas, according to the DOJ inspector general, was the senior career DOJ official on the investigation into Clinton's use of a private email server as secretary of state. In addition to his senior role in the investigation, he also participated in the discussions surrounding the discovery of emails on Anthony Weiner's laptop and the reopening of the investigation. Republicans, who are continuing to investigate political bias at the FBI and Justice Department as President Trump's legal team wrangles with special counsel Robert Mueller over a presidential interview, are planning to bring in more DOJ officials linked to the Clinton and Russia investigations - including Bruce Ohr, a senior DOJ official whose wife Nellie worked for Fusion GPS, the political research firm hired by Democrats to investigate President Trump during the 2016 campaign. 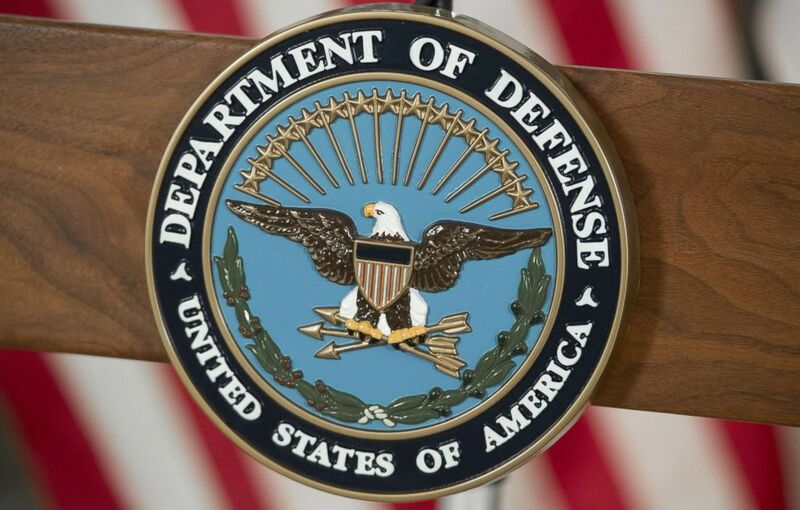 The seal of the US Department of Defense is seen at DAR Constitution Hall in Washington, Nov. 28, 2016. Jury deliberations in Paul Manafort's trial begin at 9:30 a.m.
Defense Secretary James Mattis continues his international trip today in Chile. The Senate Permanent Subcommittee on Investigations holds a hearing on "Efforts to Protect Unaccompanied Alien Children from Human Trafficking and Abuse" at 10:00 a.m. The Federal Commission on School Safety will conduct their fifth official commission meeting today at 2:00 p.m.
“My principles are worth far more than clearances.” — Former CIA Director John Brennan in a tweet Wednesday responding to the White House’s decision to revoke his security clearance. ABC News' daily podcast, "Start Here." Thursday morning's episode features ABC News contributor and former acting undersecretary of the Department of Homeland Security John Cohen discussing President Trump's move to revoke former CIA director John Brennan's security clearance. "It's highly disconcerting," he says.